Maintaining combat mission readiness in the midst of sequestration and budget cuts is a top concern for Air Combat Command and its commander General Mike Hostage. 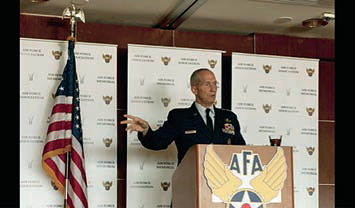 The general drove those points home during remarks to members of the Air Force Association and the media during a recent AFA monthly senior leader breakfast in Arlington, Virginia. “Readiness is the linchpin for Air Combat Command, and my contract to our Airman is, ‘I won’t send you if you’re not ready, so I’m going to make you ready,’” Hostage said. According to Hostage, budget constraints have impacted the command’s ability to produce combat power. Decisions made now and during the next few years will be critical to ensuring a combat-ready Air Force, despite a reduced size. However, Hostage noted that his job remains to produce dominant combat airpower with whatever resources the nation allots him. “This is a turbulent world and bad stuff is going to happen somewhere,” Hostage said. “The nation will turn to us and say, ‘Defend us.’ We can’t whine and complain. We have to be ready.” During his speech, the general emphasized the need for Airmen to be honest in their assessments of capabilities. “Tell me what your limit is, stop at that point, and I’ll either fix that limit or we’ll deal with it until the time comes when we can remove that limit,” Hostage said. Despite ongoing challenges, Hostage said he remains confident in the today’s Airmen and the future of the service. “We still have the best Air Force on the planet and we can continue to be so if we go down the right paths,” he said. 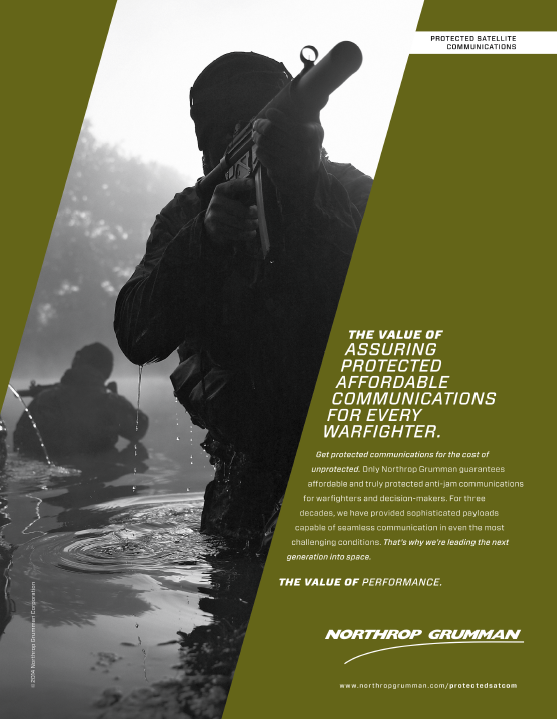 Harris Corporation has received an $88 million order to provide a country in the Middle East with Falcon III® wideband tactical radios and accessories as part of an overall modernization effort. The system leverages the latest software-defined radios from the Harris Falcon III® RF-7800 family. 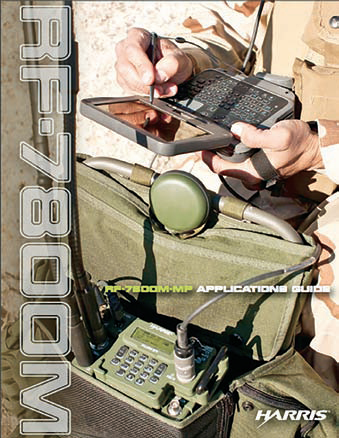 This includes the RF-7800H, the first wideband HF tactical radio, delivering expanded data capabilities for long-range, beyond-line-of-sight environments; the RF-7850M, for wideband mobile ad-hoc networking; and the RF-7800S, a lightweight soldier personal radio for full-duplex voice and data communications over 2 kilometers. The order also includes vehicular and base station systems, accessories, spares, and training services. Unlike objects in Low Earth Orbit (LEO), such as the Hubble Space Telescope, satellites in GEO are essentially unreachable with current technology. As a result, these satellites are designed to operate without any upgrades or repairs for their entire lifespan—a methodology that demands increased size, complexity and cost. The ability to safely and cooperatively interact with satellites in GEO would immediately revolutionize military and commercial space operations alike, lowering satellite construction and deployment costs and improving satellite lifespan, resilience and reliability. To expedite these potential benefits, DARPA is considering a flight demonstration to introduce DARPA-developed space robotics capabilities in GEO within the next five years. 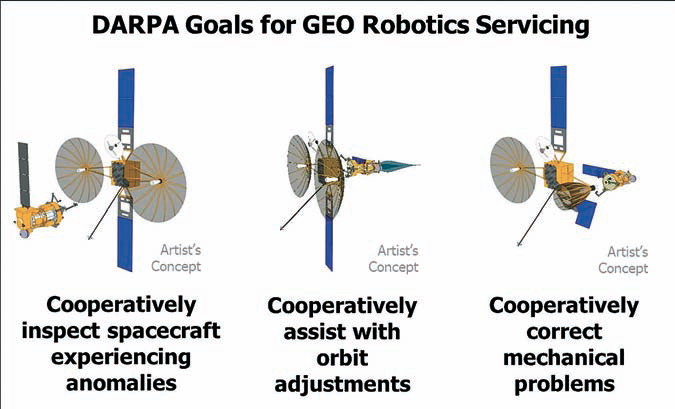 As the majority of satellites in GEO are commercially owned, DARPA is particularly interested in establishing a public-private partnership that would make cooperative robotic servicing available to both military and commercial GEO satellite owners on a fee-for-service basis. The partnership would help develop near-term technical capabilities and significantly contribute toward the creation of a sustainable, commercially owned-and-operated space robotics enterprise. 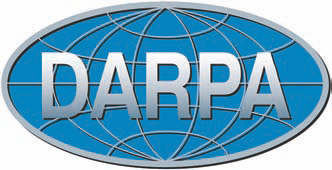 DARPA has issued a Request for Information (RFI) (http://go.usa.gov/yBdJ) seeking technical, security and business insights to support the agency’s pursuit of these goals. Business arrangements and practices that would best facilitate a commercial spacecraft servicing enterprise that is long-lived and self-sustaining, and would achieve the greatest value for U.S. national and economic security. DARPA envisions that a non-traditional acquisition instrument may be appropriate to establish this partnership. DARPA wishes to consider creative solutions in this domain and thus desires industry input for structuring the commercial partnership solicitation. DARPA is aware of current industry-led servicing development efforts, particularly those aiming to enable on-orbit refueling and satellite life extension. The agency welcomes information on possible early-opportunity collaborations or partnerships involving such missions, including technology demonstration and maturation, data sharing, or testing. Responses are due November 3, 2014, to DARPA-SN-14-51@darpa.mil by 12:00 PM Eastern Time. All technical and administrative correspondence and questions regarding this announcement and how to respond should be sent to the aforementioned email address. With potential adversaries spending significant amounts to nose ahead of U.S. technology investments, Defense Department industry partnership remains critical, the Pentagon’s director of unmanned warfare and intelligence, surveillance and reconnaissance said at the recent Southeastern New England Defense Industry Alliance’s Defense Innovation Days conference. As the DoD fiscal year 2016 budget shapes up to be “less than planned for,” Dyke D. Weatherington said, the United States faces the challenge of spending money on current assets while keeping future investments robust. While DoD historically tends to “hunker down and collapse back on core mission areas” to retain force structure, the need for innovation and creative ideas persists, he said. “This could be a great opportunity to force DOD to think outside the box, to move well beyond where we currently are today, but we can only do that with creative and innovative ideas,” he added. Weatherington noted recent ISR capability procurement, such as Pointers, Hunters and Predators. 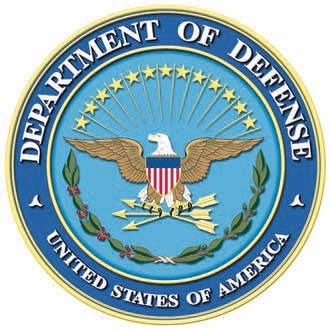 The Defense Department will work to make the requirements, acquisition and budget process better suited for innovation, Weatherington said, noting that Frank Kendall, undersecretary of defense for acquisition, technology and logistics, has worked hard to make the system more flexible by making “sorely needed” changes. By and large, Weatherington said, innovative companies putting their own ideas into programs and bringing those capabilities forward has helped to keep progress steady. The flights—the first time manned and unmanned carrier aircraft have operated together in the same carrier controlled landing pattern at the same time—occurred in the Eastern Atlantic. 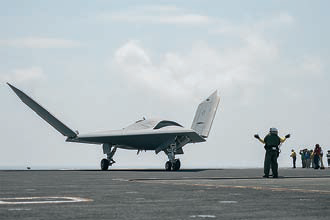 They offered Northrop Grumman and the Navy an opportunity to collect data that will help reduce risks associated with integrating unmanned aircraft with conventional manned carrier operations. At the completion of the manned/unmanned flight trials, the X-47B landed safely aboard CVN 71, catching and quickly releasing the arresting cable before folding its wings and taxiing clear of the landing area. Northrop Grumman designed and produced the program’s two X-47B air vehicles. ORBIT Communication Systems Ltd. has received an order exceeding $500K to supply its comprehensive airborne satellite communication solution to a leading unmanned aerial vehicle (UAV) manufacturer. ORBIT will supply the UAV manufacturer with its end-to-end AirLNK™ B-LOS solution, which comprises both airborne and ground segments. This turnkey solution features ORBIT’s AirTRx 60cm VSAT, to be used for broadband Ku-band satellite communication, along with supplementary equipment, a compatible ground station and on-site support services. 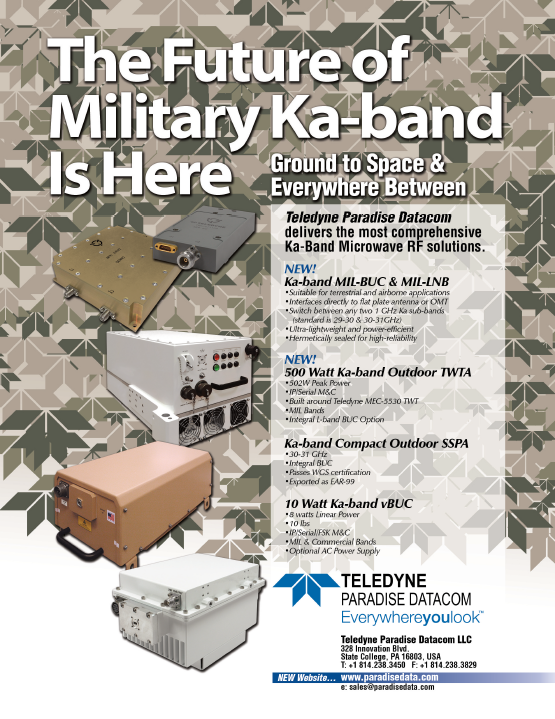 ORBIT’s communications systems are installed in thousands of military and civilian aircrafts worldwide. All systems meet international standards, and are considered as best-in-class based on their proven performance and durability in the harshest of environments. Rockwell Collins has successfully received and tracked a Galileo satellite signal using a prototype Global Navigation Satellite System (GNSS) receiver designed for secure military use. 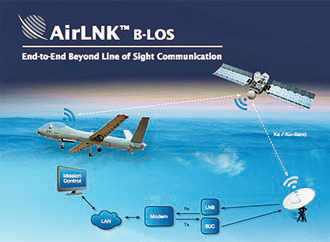 Last year, Rockwell Collins received a $2 million contract from the Air Force Research Laboratory (AFRL) and the GPS Directorate to develop and demonstrate a Secure Software Defined Radio (S-SDR) Global Navigation Satellite System (GNSS) receiver capability. 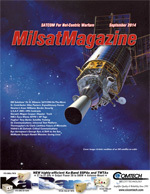 GNSS typically refers to the collection of equipment that can receive signals from multiple navigation satellite systems including the United States NAVSTAR Global Positioning System (GPS), the Russian GLONASS system, the European Galileo system and the emerging Chinese Beidou system, as well as the various augmentation systems such as Wide Area Augmentation System and the European Geostationary Navigation Overlay System. By using multiple available satellite signals, improved and more robust signal availability may be obtained, enabling a compatible GNSS receiver to deliver superior position determination that can improve navigation performance and signal availability. Hosted in a software defined radio, the S-SDR program will develop the security architecture required for receiver equipment approvals and certifications. The arrival of modernized GPS signals and other global constellations is changing the way the U.S. military and its allies accomplish secure GNSS-based positioning, navigation and timing. The European Galileo constellation coming on line during 2015, including its open signals and secure Public Regulated Service, is expected to provide an opportunity for improved robustness in satellite based navigation, in both commercial and government applications. More than 35 years ago, Rockwell Collins assisted the U.S. Air Force in developing GPS technology. That legacy continued when the company created the world’s first all-digital miniature GPS receiver under contract with DARPA. Over the years, Rockwell Collins has produced more than 50 GPS products and delivered more than 1 million GPS receivers for commercial avionics and government applications. The GNSS receiver technology being provided for the S-SDR program will continue this legacy of providing leading edge GNSS solutions.